Located in downtown Billings, Montana, the Billings Public Library strives to be a place of exploration, education, and inclusiveness that provides entertainment, research resources, music, computer technology, digitization services, and educational opportunities for our community. Library Director Gavin Woltjer joined Resounds in the studio to talk about the 5th year anniversary of the library and a preview of what he sees as the future for the institution. The new Billings Public Library has been open for five years, and is always ready to welcome people, encouraging all to take advantage of this beautiful new community center and cutting edge resources. 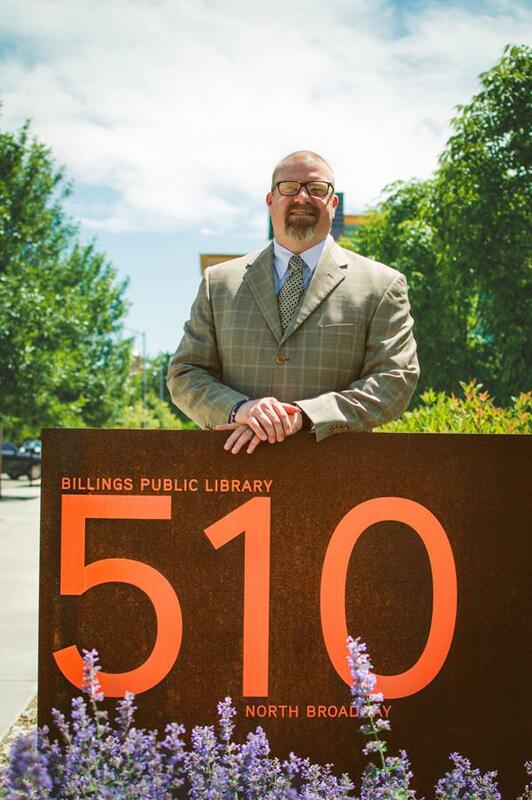 The 66,000 square foot Billings Public Library, designed by Will Bruder + Partners, opened on January 6, 2014. The library has 200,000 volumes, popular magazines and newspapers to browse, online music and movies, and a knowledgeable staff ready to help navigate services. The library’s helpful website directs people to a variety of special interests for Adults, Teens Children and Families. The library's web pages hold a wealth of information and activities for all ages. Check out the convenient calendar page for things to do. As the world become more and more automated, so does the library. Many resources are available online with only a library card. One can explore digital magazines with RBDigital; learn a foreign language with Mango Languages or a new skill with Universal Class, download free songs at Freegal Music, and have fun with numerous other databases and downloads. The Billings Public Library designated 2019 as the "Year of Multicultural Literacy." Throughout the course of the year, the Library, through various community partnerships, will provide programming, services, and educational opportunities for all residents of Yellowstone County. On this episode of Resounds, co-hosts Anna Paige and Corby Skinner sit down with Yellowstone Art Museum Executive Director Bryan Knicely to discuss the 51st annual Art Auction. Then, Corby and Anna welcome Ignacio Barrón Viela to the region as the new Executive Director of the Billings Symphony Orchestra and Chorale. On this episode of Resounds: Arts and Culture on the High Plains, co-hosts Corby Skinner and Anna Paige talk with artist Jennifer Eli French, whose mixed-media installation "This Vibrant, Tarnished World" is a response to the themes of nostalgia and longing in Station Eleven, a dystopian novel by Emily St. John Mendel. Station Eleven is a part of the National Endowment for the Arts The Big Read Program. On this episode of Resounds, hosts Corby Skinner and Anna Paige discuss the history of the Babcock Theater and its bright future with Matt Blakslee, executive director of Art House Billings, who recently inked a deal with the city of Billings to lease the property under the nonprofit Art House Cinema, and Kim Olsen of 02 Architects, one of four owners of the Babcock building who formed the Babcock LLC and entered into an agreement with the city of Billings to purchase and restore the building and—after a negotiated period of time and a punch list of accomplishments—transfer ownership of the theater to the city.